Projects with major energy users not included in the HERS Index, including pools, spas, heated driveways, and heated garages, or other major energy users not included in the HERS index must use Option 1. The size adjustment factor is always 1. The building is a slab-on-grade ranch whose floor area is equal to the ENERGY STAR reference home’s conditioned floor area. There are no floors over unconditioned spaces. The gross exterior wall area is as shown in Table 1. There are two exterior half-lite doors, unshaded, one on the south wall, one on the west wall. Glazing is 15% of the floor area. The ceiling is insulated, and its gross area equals the conditioned floor area. The storage water heater has an energy factor of 0.59 for gas, 0.92 for electric. The thermal distribution system is 100% in the attic, above insulation. The LEED energy budget shall be displayed in MBtu/year, and is based on source energy. Any major energy users not covered by the energy model, including heated driveways, pools, spas, and heated garages, must be added to the annual energy consumption of the Rated Home. 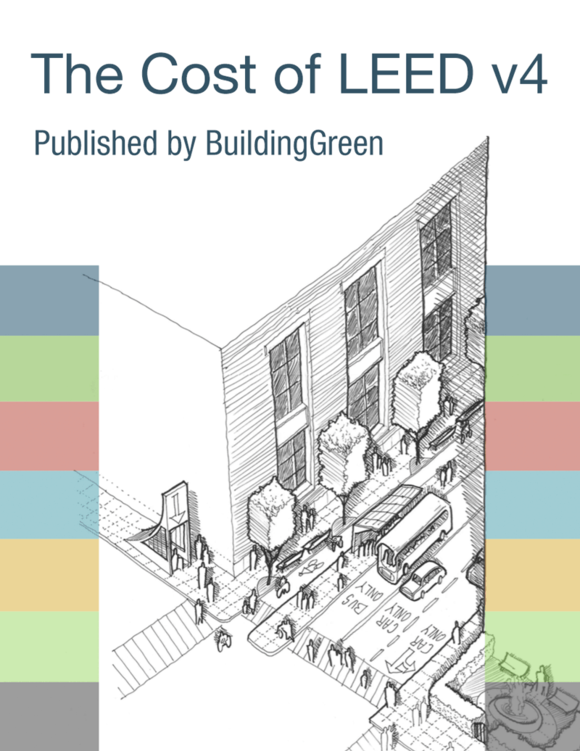 Individual units in multifamily buildings are compared to the LEED Reference Homes. Design and construct a home whose modeled annual energy usage achieves a HERS index rating of 70 or better (or USGBC-approved equivalent for projects outside the U.S.). Points are awarded according to Table 3. Earn 1 point for every 4% decrease in conditioned floor area compared with the ENERGY STAR for Homes, version 3, reference home (Table 4). Buildings that are larger than the reference home lose 1 point for every 4% increase in conditioned floor area. LEED v4 Homes projects that earn the Passive House US (PHIUS) certificate may automatically earn 20 points in LEED v4 Homes EA Credit Annual Energy Use.